Dogs that bark excessively cause big problems for their owners and in some cases drastic measures such as debarking (surgically removing a dog’s vocal chords), are taken. The idea of debarking is appalling to most people, but the surgery is performed more than veterinarians would like to admit, especially in the United States. The modern dog tends to lead a relatively un-stimulating life in the domestic home with nothing more to do than eat two meals, sleep on the couch and go for the occasional walk. Dogs that were specifically bred to work can find domestic life boring, and in most cases barking relieves that boredom. Even though dogs bark for many reasons including excitement, anxiety, for attention or to sound the alarm, the best prescription for any barking issue, whatever the cause, is usually increased exercise and mental stimulation which helps refocus a dog’s mind and tire her out, therefore reducing the need to bark. The first step towards addressing your dog's barking problem is to make certain that it is actually a problem. In some cases, our fuses as owners might be set a bit too short and we might wrongly assume that the persistent canine chatter we find so frustrating is actually a relatively standard rate of barking. For example, it's normal for dogs to bark a bit when the doorbell rings or when someone comes to the door, but if left unchecked, sometimes it can get out of control. If you're sure that the barking is indeed excessive, the next step is to identify why the dog is barking and recognize what type of barking you're dealing with. There are several different types of barking issues. If your dog is barking at you for attention or because she wants something, ignore her until she stops. This might be hard in the beginning, as she might bark longer and harder in an attempt to get your attention, but be patient. Wait for 5 seconds of quiet and then reward that quiet with attention. Repeat this as necessary. Your dog will learn that barking gets her nothing but quiet gets her the attention she desires. 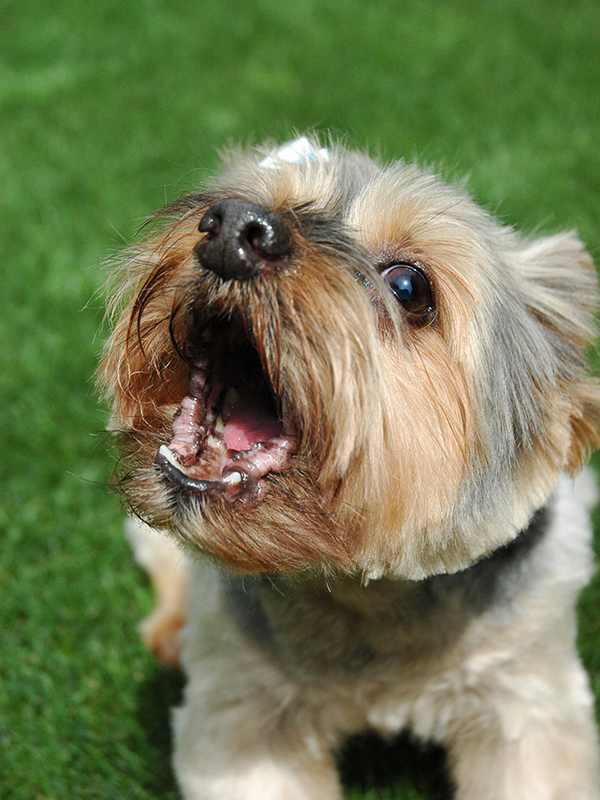 Dogs bark with excitement just as people like to vocalize in exciting situations. This barking normally occurs before going for a walk or being fed, which can be hard to work with because people usually have a fixed pattern of pre-departure and pre-feeding cues, which are highly ritualized. Dogs pick up on these cues and bark in excitement for what is about to come. The first thing to do is to change your cues as much as you can and stop what you are doing when the barking starts. If your dog barks when you go to get her leash, for example, put the leash back where it was and sit down. If you manage to successfully attach the leash when she is quiet and the barking starts again as she goes outside, immediately came back in and wait for quiet before going out again. This technique requires patience, but diligence will pay off as your dog learns that being quiet is the only way she gets to go on a walk or be fed. All of these training techniques require no verbal communication with your dog whatsoever. In situations like these, body language speaks volumes and as dogs are so good at watching our every movement, it is a language they quickly understand. Some dogs do not do well by themselves and suffer anxiety upon separation. Often, these dogs will bark out of anxiety, and need to be treated with specific behavior modification protocols. Vocalizing this distress is a way of easing that anxiety as well as a way of trying to re-establish contact. Separation anxiety can be a hard behavior to modify and time is needed for success. If your dog suffers from separation anxiety, you need to enlist the help of a qualified positive reinforcement trainer to help you with a modification plan. How Can I Stop My Dog From Barking So Much? The Best Prescription – Exercise and Enrichment! Each dog needs an outlet that is specifically designed to motivate them and serve their particular needs. Find an activity or sport that your dog really enjoys doing, taking into account what your dog’s breed or mix of breeds is. Enrich your dog’s life inside the home by hiding her toys or food around the house and encouraging her to seek them out using her canine senses to find them. Instead of feeding your dog from a bowl for every meal, try feeding her through activity toys at meal times instead so that she has to work to find and eat her food. Working for meals will stimulate your dog’s brain and help tire her out. Can I Tell My Dog To Stop Barking? Do not make the mistake of shouting at a barking dog as this can encourage the behavior even more - your dog might even think you are joining in with her! Instead you can teach a barking dog to stop barking by teaching her to bark. When your dog is in the act of barking give her plenty of praise and use a verbal cue such as 'bark' along with a hand signal that she can associate with barking, to encourage her to bark more. When she understands what the barking signal means begin to use the signal and vocal cue to encourage her to bark. Whenever she stops barking on her own give her even more praise and a vocal cue such as 'quiet' along with a hand signal that she learns to associate with being quiet. Continue to build up the quiet cue and signal any time she stops barking of her own accord. Give her plenty of praise. When both cues and signals are strong you can use them to encourage barking on cue and stop barking on cue. 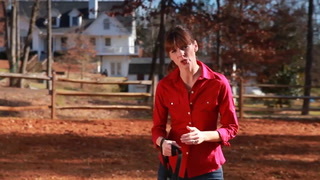 Being able to stop barking on cue is a powerful training technique to discourage barking behavior.